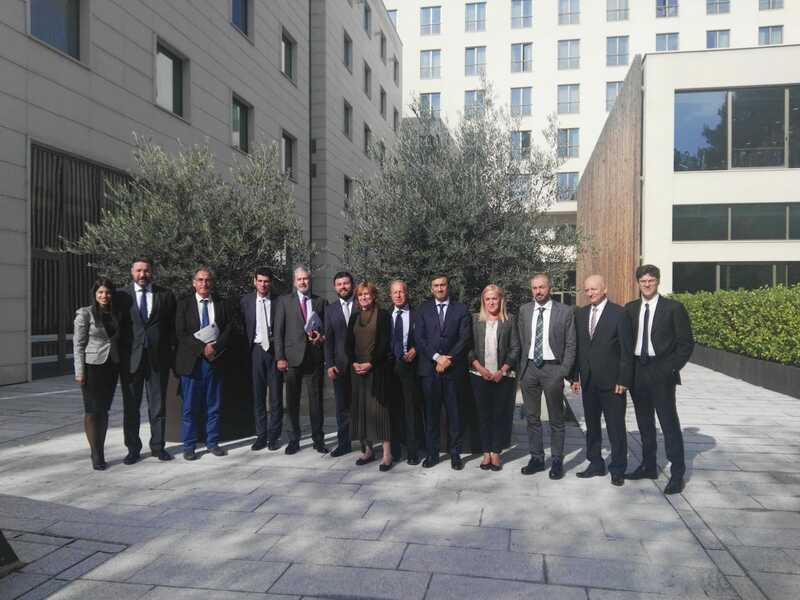 On 3 May, the AII Permanent Secretariat visited Montenegro for the traditional official meetings with the incoming AII/EUSAIR Chairmanship of Montenegro that will take over after the “Adriatic and Ionian Council/EUSAIR Ministerial Meeting” of Catania (24 May 2018) closing the Italian Chairmanship. The Secretary General, Amb. 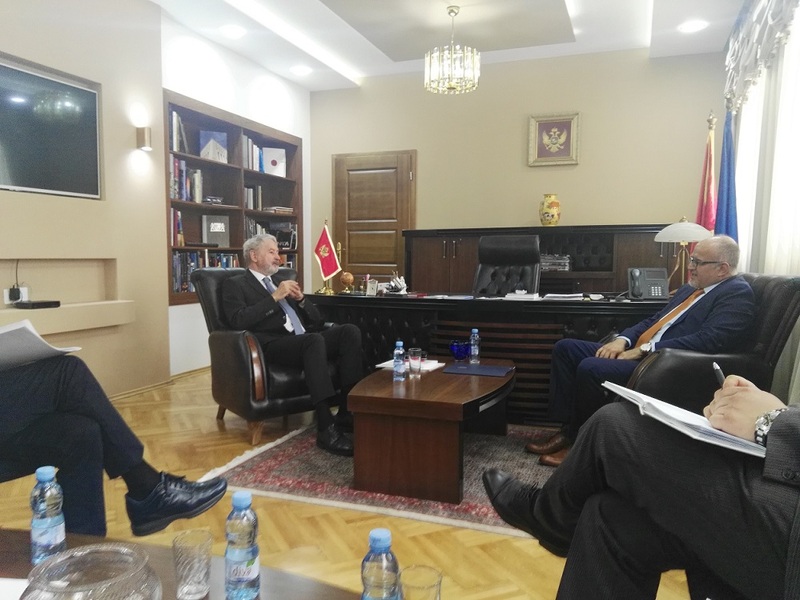 Castellaneta and his staff met the Minister of Foreign Affairs Srđan Darmanović with whom had a pleasant talk on the priorities of Montenegrin Chairmanship and on possibilities of cooperation. 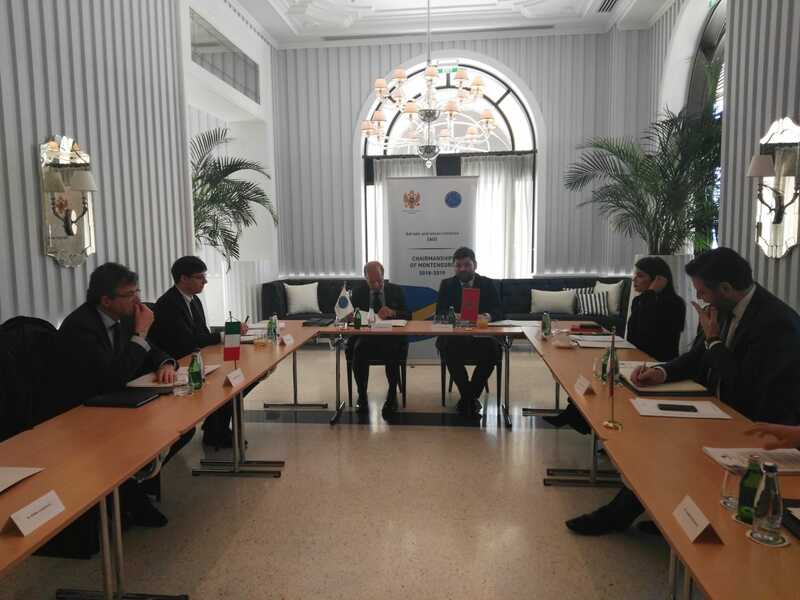 The political meeting was followed by a more technical meeting of the AII Staff and the staff of the Montenegrin Ministry of Foreign Affairs in charge with the AII and EUSAIR devoted to the program and the activities planned during the year of Chairmanship. 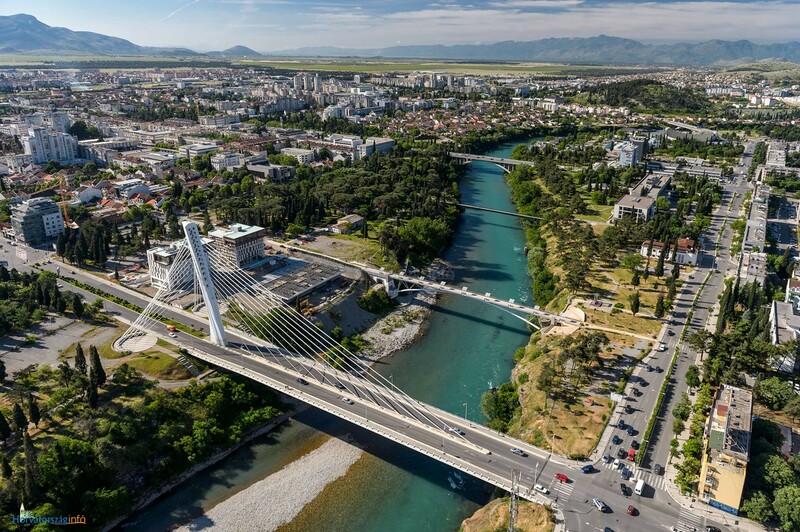 The first Committee of Senior Officials under the AII Montenegrin Chairmanship will take place on 3 October in Podgorica, in the framework of the 8th EUSAIR Governing Board. The calendar of events and the priorities of the year of Chairmanship will be presented together with a programme of activities of the Permanent Secretariat. Furthermore, the Committee of Senior Officials will be the occasion to appoint the Senior Official by the Ministry of Foreign Affairs of the former Yugoslav Republic of Macedonia. The AII Round Table on Blue Growth/Maritime Cooperation will take place in Budva on November 3, organized by the AII Montenegrin Chairmanship in cooperation with the Ministry of Agriculture and Rural Development (Directorate for fisheries) of Montenegro. The meeting will mainly focus on “Small-scale coastal traditional fisheries - challenges and opportunities for local community development through the link of fisheries and tourism”. Experts coming from the AII participating countries will attend the meeting while experts from some regions and local authorities may participate presenting their transnational projects on the matter. According to the regulations of the AII Round Tables overhauled in 2015, the results of the Round Table will be transferred to the 8th Thematic Steering Groups on Blue Growth, which will be held back to back with the AII Round Table. Please find here the Agenda of the event and the registration form. The AII Round Table on Blue Growth/Maritime Cooperation took place in Budva on November 3, organized by the AII Montenegrin Chairmanship in cooperation with the Ministry of Agriculture and Rural Development (Directorate for fisheries) of Montenegro. The event has been very successful, bringing together experts coming from AII participating countries together with local representatives, and mainly focused on “Small-scale coastal traditional fisheries - challenges and opportunities for local community development through the link of fisheries and tourism”. 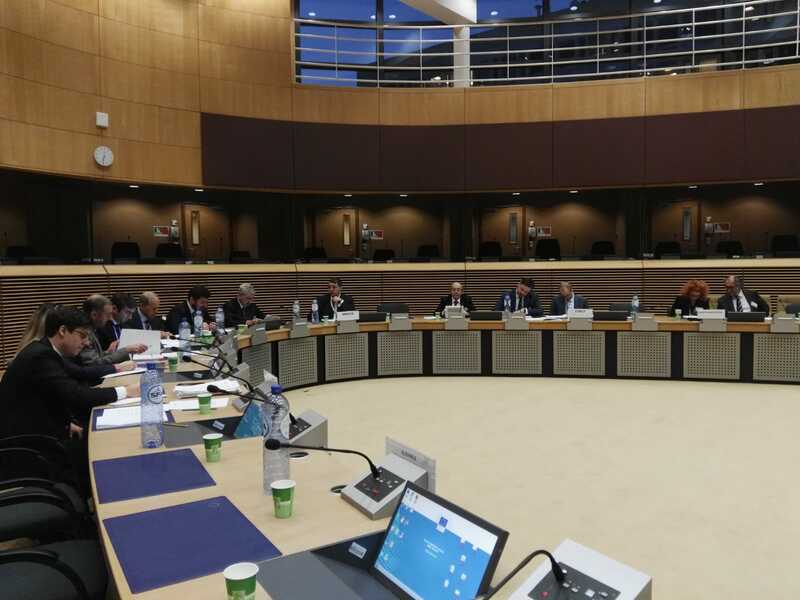 According to the regulations of the AII Round Tables overhauled in 2015, the results of the Round Table have been transferred to the 8th Thematic Steering Groups on Blue Growth, which was held back to back with the AII Round Table. Please find here the Agenda of the event. 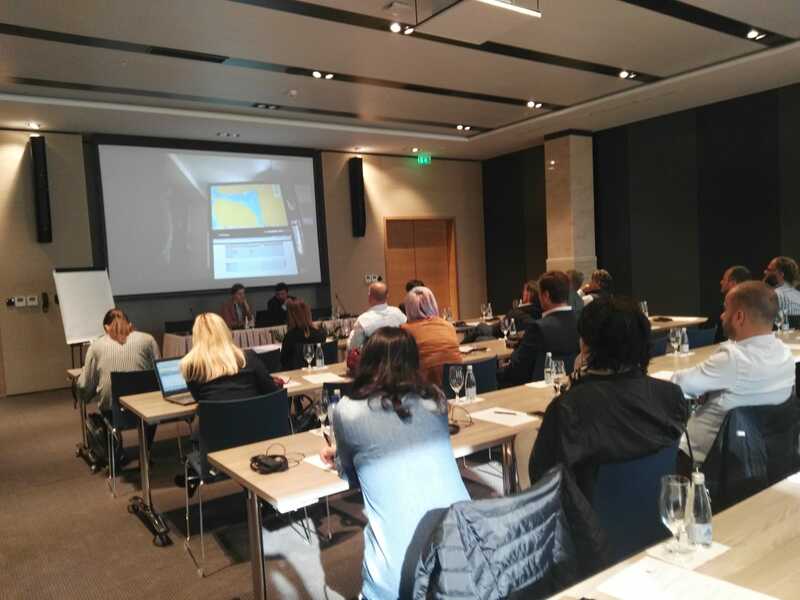 The first “AII Troika plus AII Permanent Secretariat” meeting took place in Tivat (Montenegro) on February 7, 2019, organized by the AII Montenegrin Chairmanship. During the working meeting, which saw the participation of representatives of past, present and future AII Chairmanships (Italy, Montenegro, Serbia) the following topics have been discussed: - Information regarding recent events under the Montenegrin Presidency - Calendar of the upcoming activities and organization of forthcoming events - Adriatic and Ionian Council (Budva, 6-8 May) - Preparation of Budva Declaration - Ad hoc areas of cooperation (youth, anticorruption, migration) - Strengthening cooperation with regional initiatives/organizations Furthermore, the AII Permanent Secretariat together with the Montenegrin Chairmanship had the occasion to meet the Major of Tivat, Prof. Dr. Siniša Kusovac, which expressed his interest for the inclusion of the City of Tivat in the Forum of the Adriatic and Ionian Cities. The second Joint Conference of Civil Society Fora (Chambers of Commerce, Cities and Universities), which will be held in Budva on May 6-8, will be in this regard a great opportunity for the Municipality of Tivat to meet and discuss on the official joining of the Forum. The joint 4th Forum of the EU Strategy for the Adriatic and Ionian Region (EUSAIR) and 2nd Fora of the Adriatic and Ionian Chambers of Commerce, Cities and Universities will take place in Budva (Montenegro), on 7-8 May 2019, under the slogan “Integration for the people, development for the region”. The EUSAIR Forum is organised by Montenegro in close cooperation with the European Commission and with the support of the EUSAIR Facility Point. 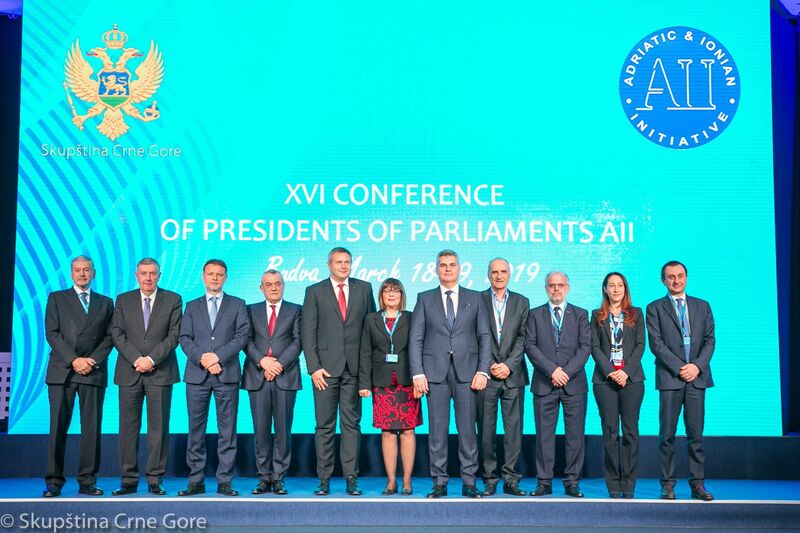 The traditional annual event aims to raise visibility of the EUSAIR and reflect on the progress made since the 3rd Forum held in Catania in May 2018.The Forum will be preceded by the Adriatic and Ionian Council/EUSAIR Ministerial Meeting (event reserved to Ministers and their delegations). This year's Forum will focus on the topics related to the field of Tourism and Blue Growth. 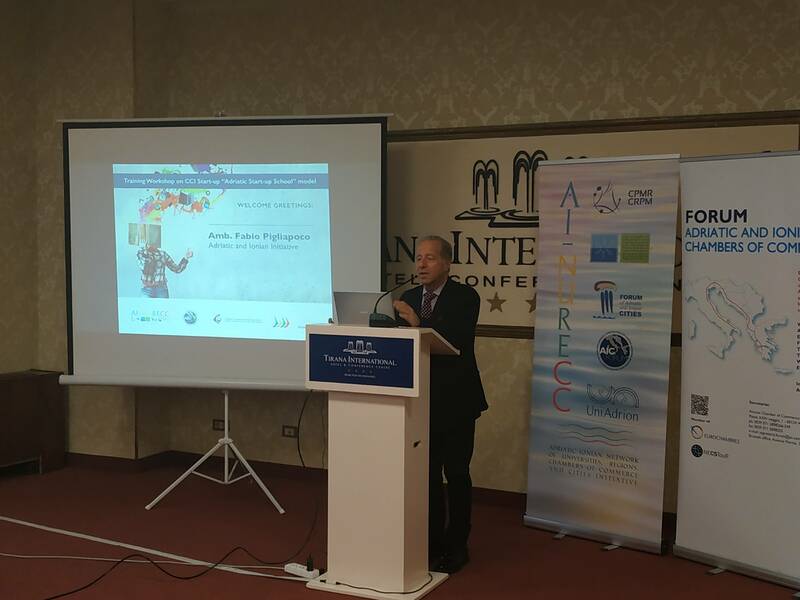 The participants will also have the chance to discuss funding mechanisms for all four thematic pillars – Blue Growth, Connecting the Region, Environmental Quality, and Sustainable Tourism - of the EUSAIR and share concrete ideas on the future prospects of the Strategy. Each year the Forum attracts numerous stakeholders, such as European Commission and other EU institutions, National ministries, Regional and Local authorities, Business sector, Academia and Civil society, who share views, exchange experience and discuss ways of cooperation. Side thematic meetings and cultural and social events will complete the programme of the Forum. A detailed programme as well as indications on programs and logistics for the meetings will follow shortly.The event registration will be open soon.